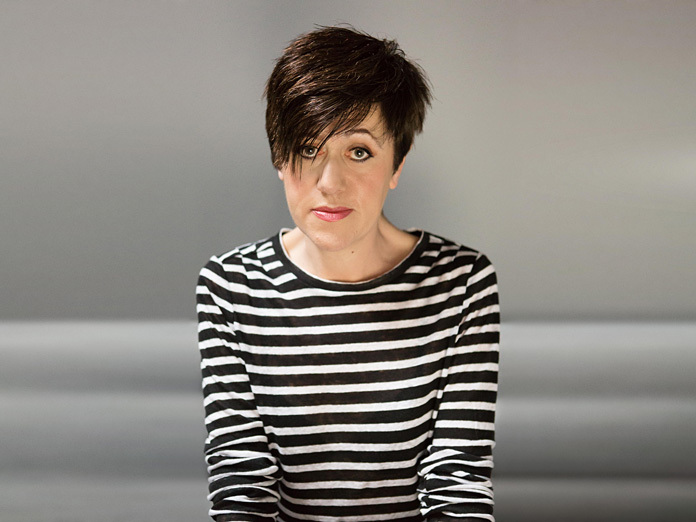 Record Due Out March 2 via Merge, Plus Listen to Two Andrew Weatherall Remixes of "Sister"
Former Everything But the Girl vocalist and Massive Attack collaborator Tracey Thorn is releasing a new solo album, Record, on March 2 via Merge. Previously she shared a video for its first single, "Queen." Now she has shared another song from the album, "Sister," which features guest vocals from Corinne Bailey Rae. Listen below. She has also shared two remixes of the song by Andrew Weatherall, as well as a radio edit of the track. Those are all below too. Thorn had this to say about the song in a press release: "It's full of lyrics about female solidarity and defiance-a heartfelt anthem for the dancefloor." Record is Thorn's first album of entirely original material in seven years. In a previous press release Thorn joked that the album contains "nine feminist bangers." "I think I've always written songs which chronicle the milestones of a woman's life," she elaborated. "Different ages and stages, different realities not often discussed in pop lyrics. If 2010's Love and Its Opposite was my mid-life album-full of divorce and hormones-then Record represents that sense of liberation that comes in the aftermath, from embarking on a whole new 'no fucks given' phase of life." Each preorder of the album comes with a Tracey Thorn zine featuring "20 pages of handwritten lyrics and photos from the recording sessions."